Sea turtles, air-breathing reptiles with streamlined bodies and large flippers, are well adapted to life in the marine environment. They inhabit tropical and subtropical ocean waters throughout the world. Of the 7 species of sea turtles, 6 are found in U.S. waters: green, hawksbill, Kemp's ridley, leatherback, loggerhead and olive ridley. The 7th species, the flatback sea turtle, is found only in Australia. Although sea turtles live most of their lives in the ocean, adult females must return to beaches on land to lay their eggs. They often migrate long distances between foraging grounds and nesting beaches. All marine turtles occurring in U.S. waters are listed under the Endangered Species Act (ESA) and are under the joint jurisdiction of NOAA Fisheries and the U.S. Fish and Wildlife Service. Green turtles and olive ridley turtles have breeding populations that were listed separately under the ESA, and therefore, have more than one ESA status. In 1977, NOAA Fisheries and the U.S. Fish and Wildlife Service (USFWS) signed a Memorandum of Understanding to jointly administer the Endangered Species Act with respect to marine turtles. NOAA Fisheries has the lead responsibility for the conservation and recovery of sea turtles in the marine environment and USFWS has the lead for the conservation and recovery of sea turtles on nesting beaches. Major threats to sea turtles in the U.S. include, but are not limited to: destruction and alteration of nesting and foraging habitats; incidental capture in commercial and recreational fisheries; entanglement in marine debris; and vessel strikes. To reduce the incidental capture of sea turtles in commercial fisheries, NOAA Fisheries has enacted regulations to restrict certain U.S. commercial fishing gears (gillnets, longlines, pound nets, and trawls) that have known, significant bycatch of sea turtles. To effectively address all threats to marine turtles, NOAA Fisheries and the USFWS have developed recovery plans to direct research and management efforts for each sea turtle species. The tourist trade is the main reason why turtle numbers are in decline. Tourism poses the greatest threat to turtles for a number of reasons. Turtles migrate huge distances but during certain times of the year they congregate in shallow waters to breed. Females go ashore to lay clutches of up to 150 eggs. Two months later, tiny hatchlings emerge from the sand and make their way to the sea. But many of the tropical and sub-tropical beaches that turtles have used for millions of years are now inhabited by tourists. Many females will not lay their eggs if there is too much noise or lighting from local resorts. Also, nests can be damaged by sunbathers and newly hatched turtles can become disoriented by beachfront developments and may never reach the sea. In the Mediterranean, the nesting period of the loggerhead and green turtle coincide almost exactly with the peak tourist season (May to August). Speedboats can be deadly, especially during the mating season when turtles spend long periods of time close to the surface. Turtles are still killed for their shells, which are made into souvenirs such as combs and ashtrays. The conservation and recovery of sea turtles requires multi-lateral cooperation and agreements to ensure the survival of these highly migratory animals. NOAA Fisheries has a broad national and international program for the conservation and recovery of marine turtles. 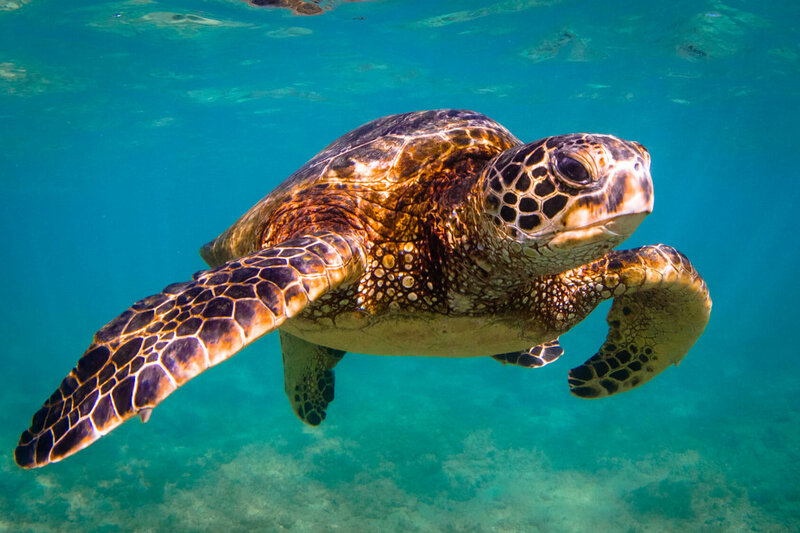 The Office of Protected Resources works closely with 2 international environmental agreements that deal exclusively with sea turtle conservation.